Movement for a Democratic Mixed Economy: What is the ‘Democratic Mixed Economy’? 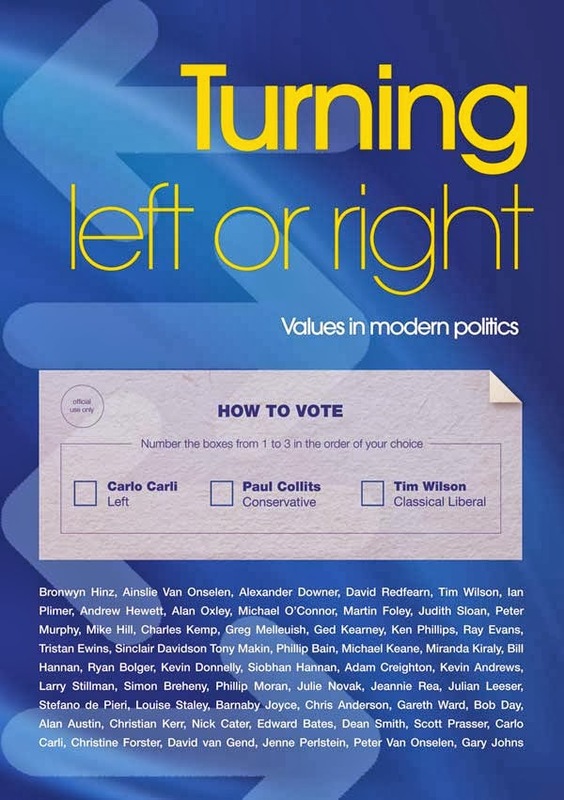 The essay that follows was an original draft of an essay on 'The Democratic Mixed Economy' - written for “Turning Left or Right – Values in Modern Politics”: a book edited by Carlo Carli, Tim Wilson and Paul Collits, and published by Connor Court. That essay was very significantly cut back to be much more concise; so I am hoping readers may get some idea of the intentions of the original draft. Democracy is about choice. But today it can appear to be a choice between personalities as major political parties squabble over different shades of the same policy. Is the great political contest of ideas over? Or are the divisions less obvious than they once were? How does the left balance competing ideas like free speech and avoiding offence? Why do classical liberals want to abolish the ABC and Australian Institute of Sport? And where do the left, liberals and conservatives agree, and why? Turning left or right asks these questions, breaks through the wall of sound bites and explores how century-old political philosophies connect to practical policy for the 21st Century. Each chapter includes three essays from some of Australia’s most engaged political thinkers who explore contemporary policy issues, find the dividing lines and reinject values and ideas. Importantly, every author’s essay provides insight into the solutions they think are needed to make Australia a better country for future generations. The Left has had an often ambiguous relationship with the State when it came to matters of political economy. Marxists sought centralisation of industry in the hands of the State under socialism en route to ‘stateless communism’. Yet there were those among them who believed that under capitalism the ruling classes would never allow socialisation of any form to progress beyond what was necessary to protect their own economic interests. In the Marxist view the state was not seen as an impartial arbiter between civic interests nor as a ‘neutral’ vehicle for the common good. Marxist views of the state as a vehicle for specific class interests contrasted with the socialism of Ferdinand Lassalle – the German socialist who – after the German philosopher Hegel – saw the State as a vehicle for reconciliation and ‘the universal interest’. And both Lassalle and Marx were at odds with libertarian anarchists such as Proudhon who saw in the co-operative movement the potential to transcend capitalism without the trappings of the State. In the 20th Century, however, Greek Marxist Nicos Poulantzas was to suggest that states themselves could be marked by internal contradiction due to the logic of class conflict. This went both beyond liberal notions of a ‘neutral’ state and beyond orthodox Marxist notions that state apparatuses under capitalism by their nature served only narrow bourgeois interests. From this it follows that contested states could advance working class and civic interests even under capitalism depending on the balance of class forces. It is on this basis that this author intends to argue that a ‘historic compromise’ is possible in the form of a ‘democratic mixed economy’. Universal suffrage is one potential basis for working class power – and affects the ‘balance of class forces’ - but is best utilised under circumstances of high social democratic and class consciousness and organisation. Regardless of all this, however, in the course of the twentieth century progressive liberals and socialists alike became associated with ideas of (relatively) ‘big government’ – of a progressive public sector and social wage. Successive World Wars had demonstrated the potential of central economic planning; indeed of ‘state capitalism’. And classical economic liberalism stood discredited by the experience of Depression. This lent a degree of prestige to social democracy and its ambitions of strong welfare states, and an advancing public sector. Much of the world adopted a Keynesian approach involving a key role for the state sector in bringing forward public works: stimulating aggregate demand to counter cyclical downturns. This also required higher (often progressive) taxes – in order to source public investments and service debt. 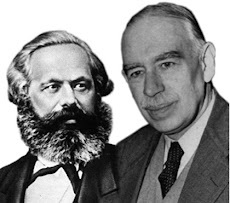 As opposed to the classical economic liberals and Austrian School economists, for the Keynesians there was no natural ‘equilibrium’ – achieved through the winding back of so-called ‘distortions’ such as tax, the public sector, labour market regulation and so on. The classical Keynesian economy was ‘mixed’ – but as yet not democratic – in the sense of delivering true popular control. In Sweden especially Rudolf Meidner and Gosta Rehn developed an approach to economic management involving full employment, growth, high incomes and the containment of inflation. In Sweden security and growth went hand in hand as a steadily expanding welfare state developed alongside one of Europe’s most robust economies. Strong industry policies aimed to create high wage jobs in the place of unviable industries which could not survive without cheap labour. Full employment was accepted by both employers and employees as part of the Swedish ‘historic compromise’. This was opposed to the previous reality: of capitalism founded on insecurity – with a ‘reserve army of labour’ resulting in ‘labour market discipline’ – but at great economic and social cost. 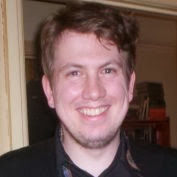 Swedish social democracy was to advance steadily for decades – achieving ‘political citizenship’ (through universal suffrage) and ‘social citizenship’ (through the welfare state): and finally attempting to achieve a regime of “economic citizenship” through innovative measures of economic democratisation and socialisation. But Sweden’s march forward was brought to a halt over the issue of Meidner wage earner funds. Through these funds, Rudolf Meidner and the powerful unions who promoted the cause sought to compensate Swedish workers for past wage restraint – which had resulted in ‘super profits’ and concentration of ownership – by according to them collective capital share. This held the potential of gradually socialising investment in Sweden – leading to what in retrospect could legitimately have been called a “democratic mixed economy”. The defeat of the Meidner initiative by militant employers, here, was ‘the high water mark’ for Swedish social democracy. The rise of neo-liberal ideology meant the progressive stigmatisation of the public sector; of the welfare state and social wage; of industrial rights and of progressive taxation. User pays and more regressive tax mixes hit the vulnerable hard. Even in Australia the Accords entered into by the unions and the Hawke Labor Government did not deliver the ‘Nordic’ outcomes some had hoped for. Wage restraint was rewarded with tax cuts – but those very tax cuts also reduced the revenue base from which the social wage and welfare state might otherwise have been expanded. Stigmatisation of labour militancy – on the grounds of ‘reconciliation’ – also led to a growing intolerance for industrial action. Furthermore – the most rudimentary ideas of social democratic redistributive justice became virtually ‘unspeakable’ – let alone a more robust critique of capitalist instability, exploitation, waste and centralisation of power. What kind of Democratic Mixed Economy for Today? All this said, what kind of ‘democratic mixed economy’ should Leftists be aiming for today? Certainly the Left would be well advised to exploit any weak points in the ‘neo-liberal edifice’ as the basis for and ideological counter-offensive. Importantly: many arguments for the old kind of mixed economy remain relevant – and Labor needs to reassess its previous commitment to the neo-liberal Ideology; including its own past rejection of the mixed economy. Firstly we will observe the centrality of the welfare state and social wage for ‘social citizenship’. Public sector intervention can provide ‘social insurance’ – for example in aged care, disability support and services, comprehensive socialised medicine, legal aid, social housing and various forms of welfare. Arguably these services must be provided to all on the basis of need – as a matter of human decency, and of distributive justice. At the moment the quality of aged care in Australia is a hidden shame; and one which would spur much greater social outrage if working class voters realised what quite possibly awaited them and their loved ones in their final years. The strongest welfare states are found in the Nordic nations (Sweden, Finland, Norway, Denmark) as well as in the Netherlands. Australian social democracy as embodied in the Labor Party has a long way to go to deliver Nordic levels of social security; and falls short in its scope of social expenditure compared to many other OECD countries as well. And yet the class base necessary as a foundation for a strong welfare state remains viable in Australia. Tax reform aimed at the wealthy and the upper middle class (in the vicinity of the top 15% income demographic) – would have a broad enough base to deliver tens of billions in funds for comprehensive social wage and welfare reform to the benefit of the remainder of the population. Modern abundance also provides the economic foundation for greater cultural development and popular cultural participation than ever before. In the information age Kautsky’s words appear prophetic. And yet modernity in its capitalist guise also warps culture, including science and art themselves. Even science and art are increasingly commodified to fulfil the ends of profit maximisation. In the field of academia, Arts and Social Sciences not ‘functional’ to capitalism are increasingly marginalised. But free education, including liberal education and education for ideological literacy and active and critical citizenship - could accommodate a plurality of wide ranging criticism – including of capitalism itself - as part of the project for a ‘democratic mixed economy’. This brings us to the matter of public infrastructure and enterprise. There are ‘natural public monopolies’ – especially in the area of infrastructure – where competition just doesn’t make sense - and private monopoly even less so. To elaborate – competition can duplicate cost structures – the physical cost of infrastructure; the cost of duplicated administration; the cost of profit margins. And private infrastructure (also Public Private Partnerships) tend to pass on an increased cost of borrowing on to consumers. On the other hand private monopoly can be just as damaging – lacking the corrective functions of competition, and also potentially leading to profit gouging and abuse of market power. To be specific, current areas of potential natural public monopoly include communications infrastructure; as well as water and energy; roads and public transport; ports and airports. In Melbourne it is notable that emerging working class suburbs are lacking crucial infrastructure including public transport, health services and schools because the state has abrogated its responsibilities – in order to hold down tax. Private infrastructure is the more-costly option; and if funded through user pays mechanisms can be highly regressive. Large public sector corporations can also potentially compete in the global marketplace – delivering social dividends to the public – and made viable by the economies of scale provided in the context of government investment - without removing the corrective and refining influences of competition. Social investment in mining via a Sovereign Wealth Fund could potentially capture tens of billions for social purposes which otherwise are largely diverted overseas. It could even be financed in part via a reformed mining tax. State funding can also be essential in areas of pure scientific research where the immediate commercial gains are not clear. And public sector media and broadcasting can provide a corrective influence – pursuing goals beyond mere profitability, or the ‘cultural power-plays’ of a handful of billionaires. This can include the goals of an authentic and inclusive pluralism, as well as ensuring quotas for local content, and the genuine promotion of participatory media. Finally, today most Australian families would prefer to own their own home. But the Howard-era housing bubble has put housing out of reach for many. Substantial investment in public and social housing (say in the vicinity of at least $10 billion; perhaps significantly more) could provide for disadvantaged families, pressing urban consolidation, while also increasing housing supply, and helping to correct the market failure of unaffordable housing. But the public sector alone is not ‘the last word’ on the democratic mixed economy. To be truly ‘democratic’ an economy must rest on real popular control. There is no ‘play of class forces’ favourable enough currently to result in the socialisation of the big transnational corporations – the ‘economic commanding heights’. (for instance as envisaged in the 1970s by British Labour thinker Stuart Holland) And engagement with the transnationals is necessary in order to make available their innovations for the general public. But there are a number of possible strategies which could gradually extend the ‘democratic sector’ of the economy. We will mention co-operative enterprise, mutualism and collective capital formation, co-determination and economic regulation. So as opposed to comprehensive socialisation under socialism, co-operatives under capitalism would face competitive pressure due to the economies of scale of their private sector rivals – who tended increasingly towards monopolism. They would be affected – and potentially ruined – by cyclical crises. And they would have to reserve greater proportions of their profits for investment (ie: internally financed investment) in the means of production – to retain co-operative status and still remain competitive. Bernstein also feared co-operatives – for instance as anticipated by Lassalle - could become ‘corporate interests’ which actually gouged and exploited consumers. Specifically he considered the scenario of union-run co-operatives coming to dominate “whole branches of production”. While subject to capitalist pressures, existing co-operatives do away with the expropriation of surplus value by capitalists. Generally under the co-operative model any profits are duly socialised; and workers maintain democratic control. And while small co-operatives may be subject to greater risk, participation in that context can be rewarding insofar as direct control overcomes the kind of alienation resulting from the division of labour under capitalism. Meanwhile consumer co-operatives can provide ordinary people with greater market power; and mutual societies can provide voluntary social solidarity while cutting out the profit motive and indeed the profit mechanic entirely. Mutualised automotive societies, mutual credit and mutual insurance all have long histories. Arguably, though, robust state-aid is necessary to support these endeavours, and ensure such democratic enterprise retains strong market share, and a higher market profile. Ideally this should involve concessional loans, financial advice, tax concessions, and assistance with marketing. This is suggestive of potentially visionary policies favouring economic democracy by a future Australian Labor government, and other potentially progressive future governments worldwide. Another area of potential economic democratisation is collective capital formation. This involves workers and citizens coalescing to invest in the economy; and in the process potentially delivering economic power to those people collectively. Collective capital formation can take many forms: some radically redistributive; others barely challenging the logic of capitalism. In Australia it is true to argue that industry superannuation funds (private pensions) hold the potential of delivering economic power to organised labour – which administers many funds on a not-for-profit basis. This is a common argument. And yet there is a downside as well. Public pension funds hold the advantage of socialising (rather than privatising) risk faced by workers; and also of not replicating labour market inequalities in retirement. Policy makers also have to deal with the future prospect of an Aged Pension marginalised along class lines. And there is the potential for rent-seeking behaviour when it comes to fund involvement in Public Private Partnerships which simply cannot provide the best value infrastructure for citizens. But learning the lessons of Meidner, the time could be right for a reconsideration of democratic and redistributive forms of collective capital formation. A democratic mixed economy does not simply leave these matters to ‘the market’ when the consequence is an intensification of exploitation. Restrictions on union rights of organisation, withdrawal of labour, and access are intended to facilitate this intensification and overcome resistance. Growth is always considered ‘good’ as it facilitates the endless expansion of consumption and of the world market on which capitalist self-reproduction depends. But proponents of a democratic mixed economy question the assumed “rights of property” and the social consequences of this. Increasing levels of over-time for some and promoting casualization and job insecurity for others; with a steadily-rising retirement age - all contribute to the logic and imperatives of capitalist accumulation - to the detriment of the ‘life-world’ of real people. Work/Life balance across peoples’ entire lifetime conflicts directly with these ‘prerogatives of capital’. Also co-determination as has been attempted in some countries – very notably Germany – could involve mandatory employee representation on the boards of major companies and employee input into safe work practices amongst other areas - ameliorating the ‘absolutism of capital’. Though it is no permanent or comprehensive solution for antagonisms of class interest. Looking back to the 1950s it is interesting to note that the conservatives and ‘centrists’ of that time were often more ‘radical’ on the economy than today’s avowed social democrats: and even of some avowed members of the Socialist Left. Talk of a “traditional socialist society”, here, is presumed to infer comprehensive state ownership and central planning. This author does not seek to replicate the errors of the old Communism – for instance the virtual usurpation of peoples’ right to determine their own needs structures to a reasonable extent via market-mediated channels of consumption. Even though increasingly there are many areas – for example the energy market – where the promise of ‘choice’ has rung hollow – simply providing a cover for needless duplication, profiteering and waste. And while comprehensive central planning stifled individual consumer choice, it did make more sense in economies marked by greater scarcity. A moderate form of the ‘democratic mixed economy’ could well conceive of itself in the tradition of the ‘social market’. Although what this author does aspire to – at least in principle – is significantly more radical. As Leftists we should probably seek to shift the whole relative centre of political discourse – ultimately striving for a new hegemony. So when we speak of a ‘democratic mixed economy’ there is a potential plurality of interpretations. But a common denominator should be a robust public sector, and a commitment to substantial democratisation in a wide array of forms as outlined in this chapter. Again: in addition to a strategically extended public sector this could involve a mix of co-operatives, mutualism, collective capital formation, co-determination, economic regulation, a progressive tax system, welfare state and social wage; extension of liberal rights to the industrial sphere; and appropriate economic regulation – including labour market regulation – to ensure fairness. Importantly: the language of a "democratic mixed economy" brings together a notion which is still relatively mainstream - (the mixed economy) - in combination with "economic democracy" - which has radical connotations. In so doing, that combination is creating a space for radical and progressive ideas - possibly introducing radical ideas to a broader audience. The ‘democratic mixed economy’ has strategic value both as a political discourse and as a strategy for economic management, democracy and liberation. Concluding, though: Arguably there is a place for co-operation and competition: planning and markets. And yet large scale co-operation (at the level of the largest multinationals, say) looms as ‘the economic undiscovered country’. Who is to say that the refining logic of competition and self-interest is the only guarantor of quality, and will remain so forever? What future potential is there for economic activity based on altruism and co-operation? Only the future will tell. My economic research indicates that increased public investment in infrastructure should be possible though borrowing or "quantitative easing" (printing money. Central banks seem to be on top of inflation so why can't we be more adventurous in this space? re: The economy ; Yes 'quantitative easing' ; stimulates the economy and can have a limited redistributive effect ; but in some cases if taken too far can cause inflation.